Alan, an intensely busy New York accountant, realizes that his success is hollow and pointless. He decides to sell his business and get out of the 'rat-race'. When he breaks his 'good news' to the people around him his life goes out of control. His ex-wife claims the sales proceeds; his mother accuses him of ruining his life; his girlfriend refuses to go out with him; his lawyer refuses to talk to him except through his own lawyer; his clients threaten; his banker rebels; his business partner goes berserk. The pressure builds into a frenzy of misunderstandings and confrontations with disastrous results. Time: The Present. The action takes place during one day. 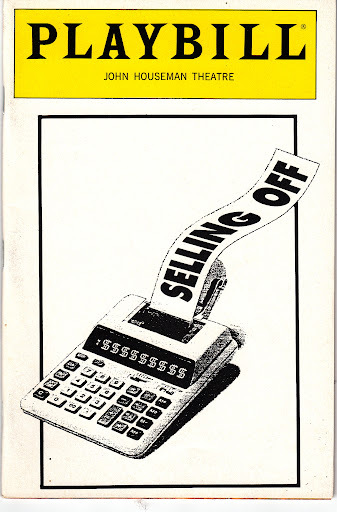 Production History: John Houseman Theatre, Off-Broadway, NYC, USA, under the direction of Gene Feist.